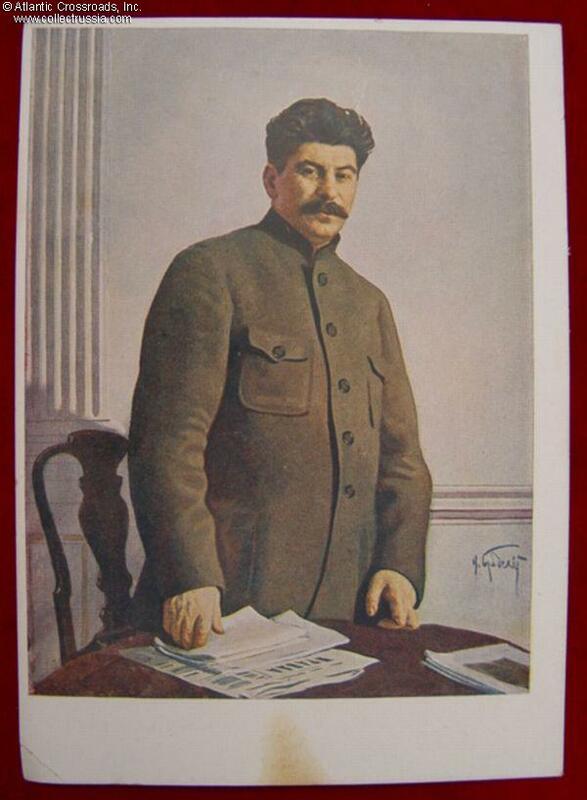 Postcard with very early portrait of Stalin by I.
Postcard with very early portrait of Stalin by I. Brodsky. Printed in 1933. Published by the Mossolit in 1933, and printed at the Goznak printing house. The original art was created by Isaak Brodsky, perhaps the most acclaimed of all Stalin portrait painters. Fine overall condition with a single hard fold at the lower left corner and a light stain to the bottom margin. Image size is 97 mm x 128 mm, paper size is 106 mm x 148 mm.